Our Story - InstallNET | Office Furniture Installation Made Easy. Anywhere. InstallNET | Office Furniture Installation Made Easy. Anywhere. Our Story - InstallNET | Office Furniture Installation Made Easy. Anywhere. Over the years the company has built a family atmosphere that reaches beyond its walls by caring for people, helping them grow, and always looking for win-win solutions. Many of the network’s loyal and dedicated service providers today have been with us from the very beginning. The web-based platform has evolved into a multi-functional and complex operating system that is unique to the furniture industry. Our project management staff has successfully managed over 135,000 jobs ensuring customers and end-users are satisfied. The advancement in technology has drastically changed the way we do business. Email has replaced faxes. High speed internet connections are a required part of doing business. Yellow pages are nearly extinct – you just “Google it”. Information is everywhere, and overwhelming, but knowledge is still hard to find through the rubble. We all carry smart phones. Business has become hyper-competitive and continues to evolve, urging us to “adapt or die”. Our lives have sped up and work-life balance is a leading topic of business management. These disruptive changes will not go away. However, there are a few things that have stayed the same… InstallNET’s guiding principle is “Making a connection in a fast paced world” which seems to resonate more every day. Business is about people. The challenge is to reach out to all whom we interact with and make business comforting, reassuring, and relevant. That little extra effort is noticed, and is what makes the difference in this “fast paced world.” WE CARE. InstallNET is centered on respecting and appreciating people, and providing an environment where they can grow and help others grow. That is what it’s all about. And that is not going to change. 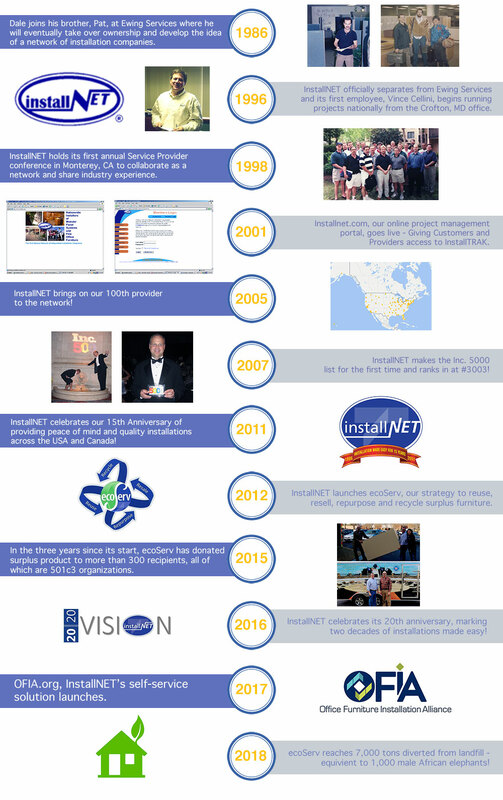 InstallNET will continue to use its guiding principle, values and mission to help shape the future. By working together we can face a future filled with opportunities…to grow, to explore, to change the way business is done, and to help people and companies grow and adapt.